Activated 2.6.55 at Site 10 - Zarya (Leninsk), Kzyl-Orda Oblast, as the 5th NIIP (Baikonur Test Center) - US designation Tyuratam Missile Test Center. Site 10 was the town of Zarya, 28.1.58 renamed Leninskiy, 21.6.66 Leninsk, and finally 20.12.95 Baikonur. 1990 renamed 5th State Test Spaceport (5th GIK). Several sites did not belong to any of the above units - these are listed here. 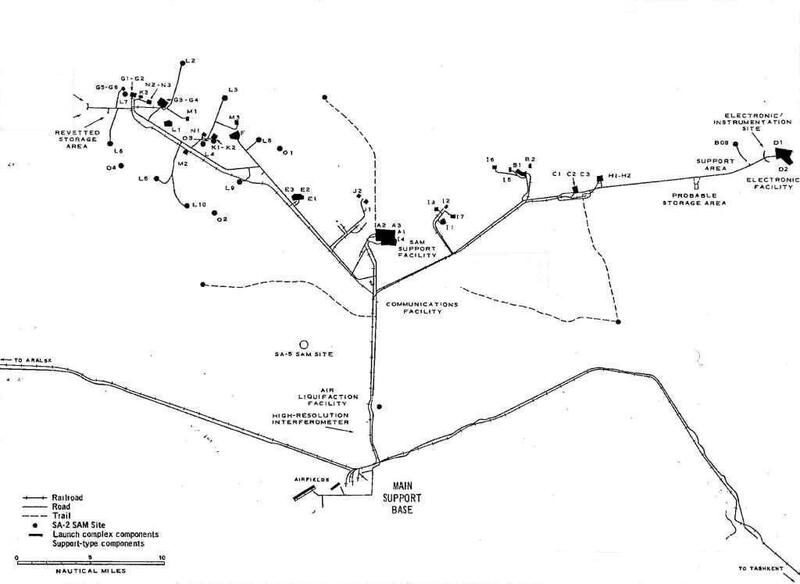 US map of the Baikonur Test Center 1968 - here. Soviet map of the Baikonur Test Center 1990 - here (pdf file).